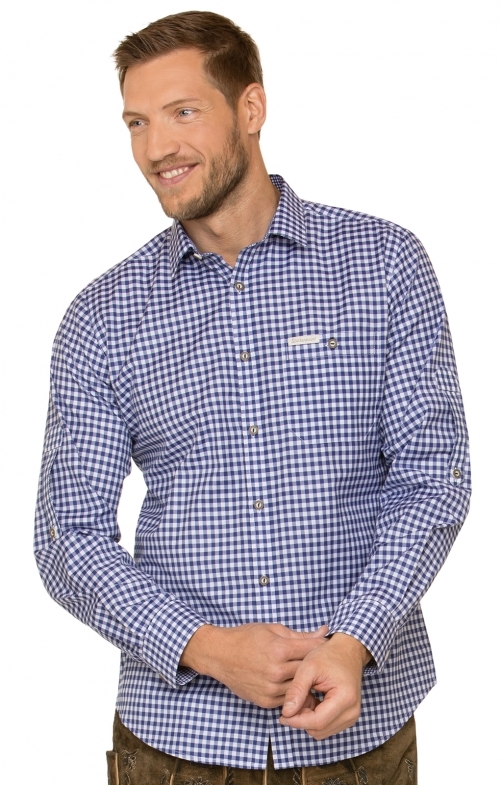 Traditional shirt Campos3 "Comfort fit" for men by Stockerpoint in blue. The classic casual shirt in a pleasant blend of cotton features a retro design, traditional horn buttons and an adjustable cardigan arm. The Kent collar, as well as the rounded hem are timeless and the chest pocket complete the overall picture skilfully. Größer S ein bisschen zu groß für mich! Ein bisschen zu groß, größer S.